Twenty Four hours a day, really less time to do so many things. Agree? We, many a times, feel there is so much to do that 24 hours are so less. There is work, there are children / parents to look after, there are movies to catch up, there are latest magazine to read, messages & emails to reply, so on and so forth. All this busy life gives you little time to pamper yourself, resulting in ill health. The most neglected part of the body, EYES, suffers the most. 1) Dark Circles: Very common now a days. In the early days, dark circles were not heard of. If there used to be dark circles, it used to be to the ones who are really aged. However now a days even teenagers suffer from the problem of dark circles. 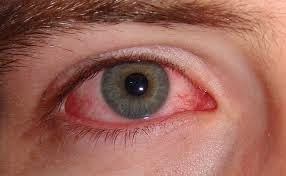 2) Puffy & Tired Looking Eyes: Ever ending tasks results in puffy and tired look eyes. Too many tasks coupled with lack of sleep and rest is the real culprit of puffy and tiredness in the eyes. 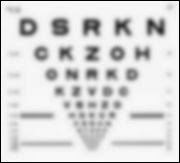 3) Blurred Vision: You are suffering from blurred vision if you are not able to see clearly or if there is lack of sharpness of vision. 4) Itching: If you find yourself rubbing your eyes frequently or certain kind of irritation in eyes, you are suffering from itching. It is better to avoid rubbing your eyes and clean it with fresh water. Rubbing eyes continuously can result in the infection of eyes. Read this article which highlights how to take care of eyes. 5) Swelling: The presence of excess fluid in eyes results usually in swelling or puffy eyes. When we are suffering from fever or trauma or crying continuously or injuries in eyes can result in swelling as well. 6) Loss of Vision: Loss of vision is suffered by aged people. However if person does not take care of eyes during the young age, they are more bound to suffer from vision problems. Therefore it is must to take basic care of eyes on the daily basis to keep it healthy. 7) Dry Eyes: Keeping eyes moist is essential for the good health of eyes. However due to lack of blinking, our eyes do not produce the natural fluid which is required to keep our eyes moist. Hence the problems of dry eyes occur. You are suffering from the dry eyes if your eyes water on the regular basis. 8) Night vision problems: People with night blindness or night vision problems suffer lack of vision during night or at the areas where it is poorly lit. It is not same as loss of vision; however the sharpness in vision reduces during night. Night blindness can be caused due to blurred vision, cataracts, retinitis pigmentosa or usher syndrome. Read further on Precautions of Common Problems of Eyes and solution of common problems.